Deputy Chief Justice Raymond Zondo has raised concerns about perceptions surrounding the powers that be, who seemingly turned a blind eye to corruption involving facilities management company Bosasa, despite media reports. 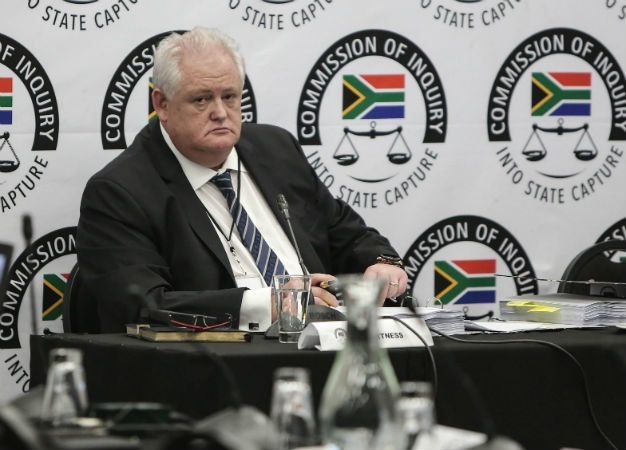 Zondo, who is chairing the state capture commission of inquiry, raised his concerns during the testimony of former Bosasa COO turned whistleblower Angelo Agrizzi on Thursday. During previous testimony, he levelled extensive allegations of corruption against several government ministers – including Nomvula Mokonyane and Gwede Mantashe – as well as ANC MPs, journalists and union officials. He also claimed that Bosasa (now African Global Operations) colluded with senior officials for more than a decade to cook tender documents and score lucrative contracts with the state. "The question is, with all these allegations having been brought to the public's attention by the media over the years about Bosasa, did senior people within the governing party not see all of these things and decide that action must be taken to find the truth? Did they look away? Did they look away because they knew Bosasa was giving donations to them?" Zondo asked. He added that, before he became the chairperson of the commission, he often questioned why the Bosasa group continued to receive contracts and tenders, despite certain allegations in the media. "One of the things I have thought about at some stage in the past - that was even before I got involved in the commission - was that there have been allegations of corruption involving Bosasa in the media for so many years. "How come Bosasa keeps on continuing with contracts and tenders with various government departments, despite all these allegations in the media? And we never hear that they have been resolved but they just continue to seem to get lots of contracts and tenders," he said. He also questioned if government officials simply "looked away" instead of probing further after reading about Bosasa's alleged corruption in the media. "What you said, it is so true. That is the power that the Watsons have, and nothing gets done," Agrizzi replied. Zondo told Agrizzi that, if his evidence was found to be true, it may well be that Bosasa's approach was to bribe certain people to get certain contracts. Another possibility was that the company might have decided to do certain things for people who would, in turn, "look away and [not] ask questions".